This afternoon my Mum and I went out for a treat after I finished my first year at college with high marks, when she asked me last week where I wanted to go, I instantly said for Afternoon Tea! 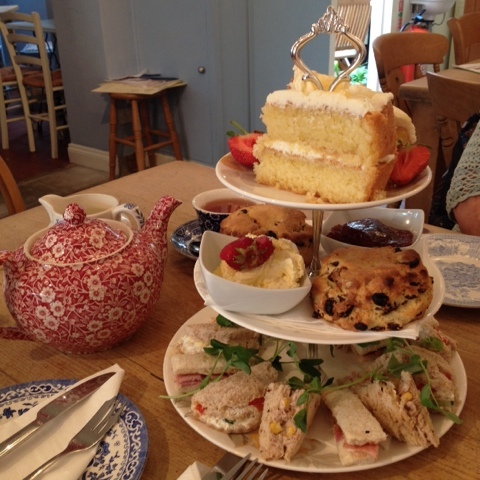 I have never had Afternoon Tea until now and I can assure you, it is well worth the money! 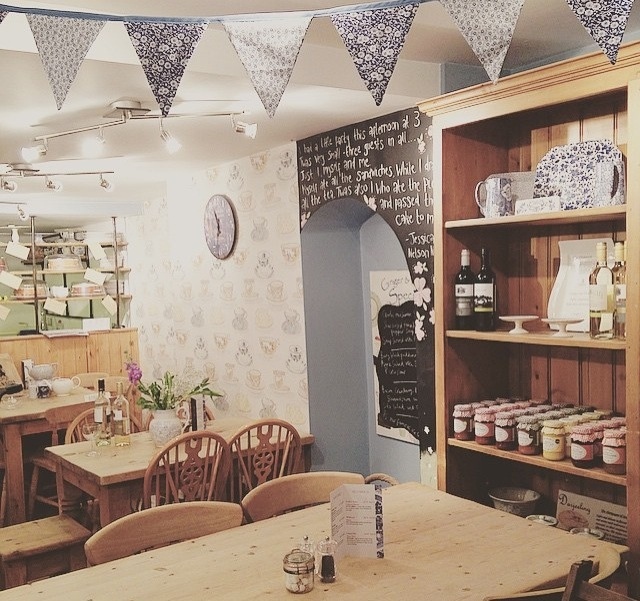 We went to a place called 'Ginger & Pickles', which is a rather strange name for a tea room, however inside is cute with cottage- like furniture and cups of tea wall paper. Fresh flowers were dotted around, it gradually got busier and busier throughout the day. We chose to have the three layered Afternoon Tea which came with a selection of sandwiches (Tuna and sweetcorn, Goats Cheese and tomato and lastly Ham and tomato chutney). Next were large scones with fresh cottage cream and home made strawberry jam and lastly was the cake. Oh My Lord. The cake was to die for! We could choose from either Lemon, carrot, chocolate or coffee cake, we both chose Lemon and it was light and fluffy! Of course there was a large pot of tea with tea and saucers in a china print, the atmosphere was quiet and peaceful, just like a tea room should be! Not bad for £14.99 pp! Once we finished we went for a mooch around the shops, in the area there are quirky and pretty shops with tonnes of room decorations, hanging ornaments, florists, more tea rooms and independent clothing shops. 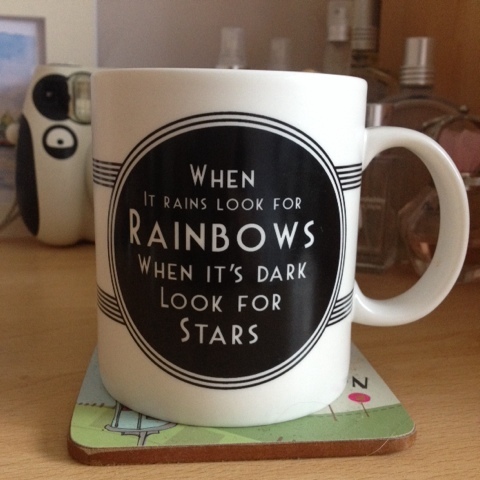 I brought this cute mug, ft below, with a very inspiring quote on, only for £4! I've never been to something like this and it looks so much fun and all the treats look yummy. It really looks you had a great time and that mug is adorable. Great post. 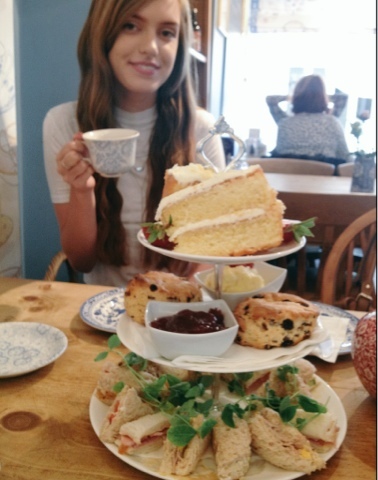 I highly recommend going for Afternoon Tea! Glad you liked my post and thanks for commenting.